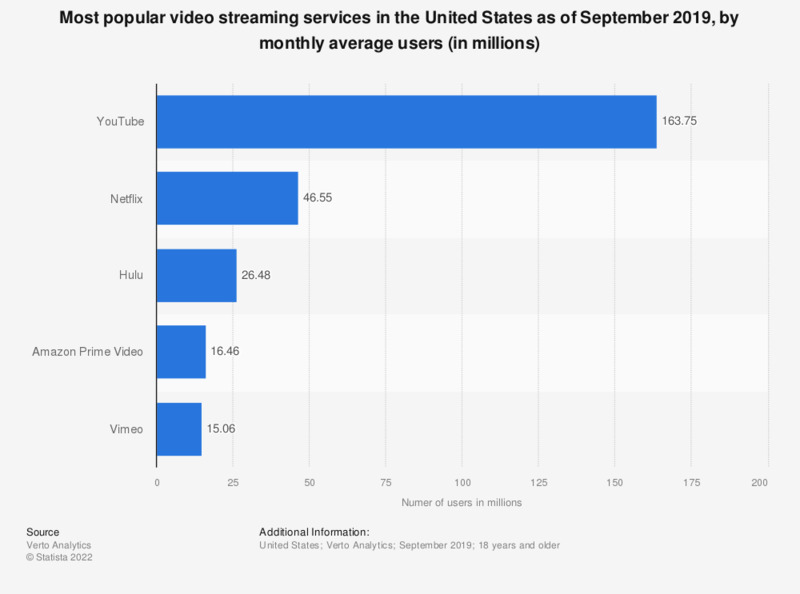 This statistic shows the most popular video streaming services in the United States as of July 2018, ranked by monthly average users. The most popular video streaming service as of July 2018 was YouTube, with 197.5 million monthly active users. Hulu ranked third with 55.6 MAU. *Data only refers to app usage. Everything On "Netflix" in One Document: Edited and Divided into Handy Chapters. Including Detailed References. How often do you use paid online video streaming services*?